Following five straight days of losses, U.S. stocks made minor gains Friday morning in light of the shock news coming from Switzerland which has market experts scratching their heads, many investors weeping and a lucky few turning a profit. Experts are speculating as to whether the decision to remove the cap on the Swiss Franc hints at an impending stimulus move by the European Central Bank next week or whether it will act as a safeguard to a possible exit from the Euro zone by Greece in 2015. Either way it is terrible news for an already sluggish European economy. Retail broker FXCM Inc. halted trading owing to fears of breaching regulations amid substantial client losses while Alpari UK has filed for insolvency. Meanwhile the media in Hong Kong are reporting that, thanks to its online system, clients of HSBC Holdings were able to buy Swiss Francs below market rates for several hours yielding thousands of dollars in profit. However, it is not just the currency markets that are feeling some serious pain this week. Across the board, many oil majors are taking the butcher’s knife to operations, cutting jobs and capex in unprecedented numbers. Spending on global exploration and production could fall over 30 percent this year, the greatest drop since 1986, should markets remain depressed. Bank of America are predicting Brent futures to fall to $31 by the end of the first quarter this year, over $5 below the lows of the 2008 financial crisis, citing rapidly growing global inventories as the cause of such a substantial drop. News such as this has spurred the latest round of massive cutbacks across most sectors in the oil and gas industry. 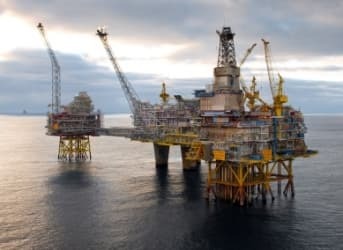 BP will cut 300 jobs in Scotland with ConocoPhillips cutting 230 in Britain overall, Suncor Energy will reduce staff by 1000, while Schlumberger expects to axe over 9000 jobs in total this year. Continental Resources slashed its spending for 2015 by 41 percent last month, while Range Resources Corp. reduced theirs by 33 percent. Shell has cancelled a $6.5 million project in Qatar and Statoil has shelved exploration plans in Greenland. However, it’s not all bad news, at least for one major oil producer. This week saw a ruling in the case against BP on the final amount spilled into the Gulf of Mexico following the Deepwater Horizon incident. Despite government calculations of 4.2 million barrels, Judge Carl Barbier judged that 3.19 million barrels were spilled into the ocean, thus reducing the maximum potential penalty that could be imposed on the British company. The final amount of fines will be decided at trial next week with the law allowing for a maximum penalty of $4,300 per barrel, or $13.7 billion, down from a potential maximum of $18 billion. So far, BP has paid out over $28 billion in clean up and claims, with $3.5 billion currently set aside to handle the first installment once the trial has been concluded. Urgent Note: This week, our market expert Jim Hyerczyk provides the incisive and timely analysis investors around the world have been looking for in the (almost) never-ending search for a bottom. Jim’s fantastic technical analysis details the key points to watch for not just in the coming weeks, but by market close today and what dramatic impact they could have. Don’t be the last to know – click here and start a 30 day free trial to Oilprice Premium. In other news, one major producing nation that suffers from the oil price crisis more than most may have been caught red-handed this week. Reports are emerging from the U.A.E. that Iran is attempting to disguise crude export shipments destined for countries that are prohibited from receiving Iranian oil under U.S-led sanctions. Global ship insurers are claiming that sophisticated operations have been ongoing offshore that involve the transfer of cargoes between tankers. If these reports are confirmed, this will do Iran no favors in its ongoing negotiations with the P5+1 regarding its nuclear energy program. It is unclear whether the news would have impacted a meeting between U.S. Secretary of State John Kerry and the Iranian Foreign Minister Mohammad Javad Zarif in Paris this morning, which lasted only an hour, but Iran is already treading on thin ice as U.S lawmakers consider a new wave of sanctions against the nation. Finally, Venezuelan President Nicolas Maduro is continuing his efforts to rally both OPEC and Non-OPEC producers to take action to resolve the current precipitous oil price slide. His worldwide tour brought him to Russia this week, where he received support from Vladimir Putin as well as from several Russian companies, who have agreed to increase investment in joint venture companies based in Venezuela’s Orinoco oil region, though by how much is as yet unclear. Venezuela is one of the top ten producing nations in the world and is estimated to have the largest crude reserves in the world. It relies on oil exports for approximately 90 percent of its foreign currency earnings and as a result of this, the state oil company Petroleos de Venezuela has announced plans to invest $302 billion over the next five years in the hopes of reaching output levels of 6 million barrels a day. However, the cash-strapped country’s financial burdens and the ever-present threat of default, may mean that such ambitious plans to double its output may never come to fruition especially in light of the carnage wreaked by falling oil prices. Our traders have nailed it again this week in our Premium Service, with two strategies that will revitalize your energy portfolio regardless of how you play the market. With over forty years of market experience between them, it’s no wonder our two traders have provided so much value to our Premium members on such a consistent basis. If you would also like to gain from having two leading traders as part of your investment advisory team – click here to become a member of our Oil & Energy Insider Community.